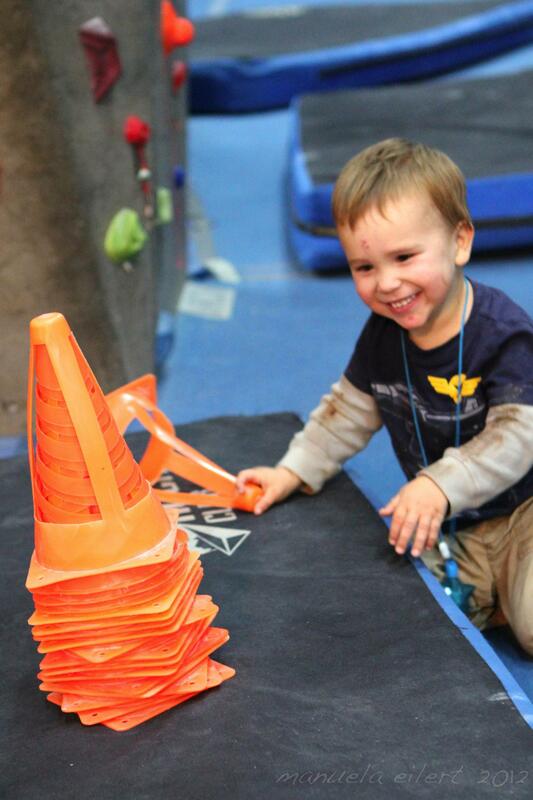 A couple of weekends ago we got the chance to head back to our oldie (but a goodie) climbing gym – Triangle Rock Club! 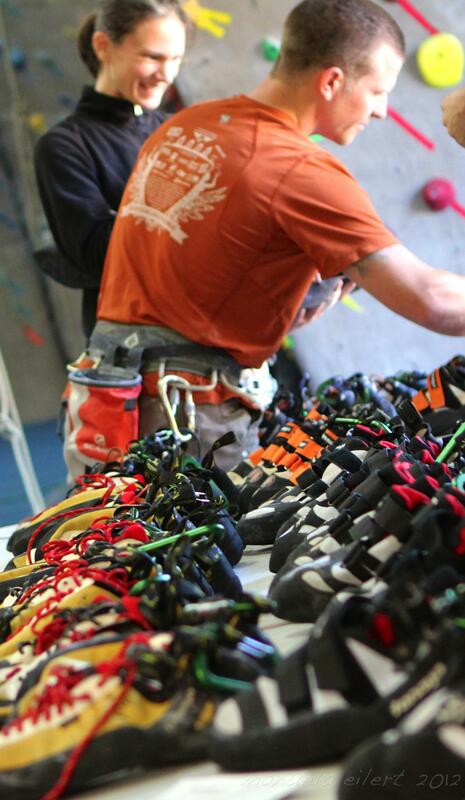 Although we came up Saturday afternoon to get in a little climb time with some dear friends, the main events were scheduled back to back on Sunday – a Tenaya Shoe Demo, and a Family Craggin’ Workshop. 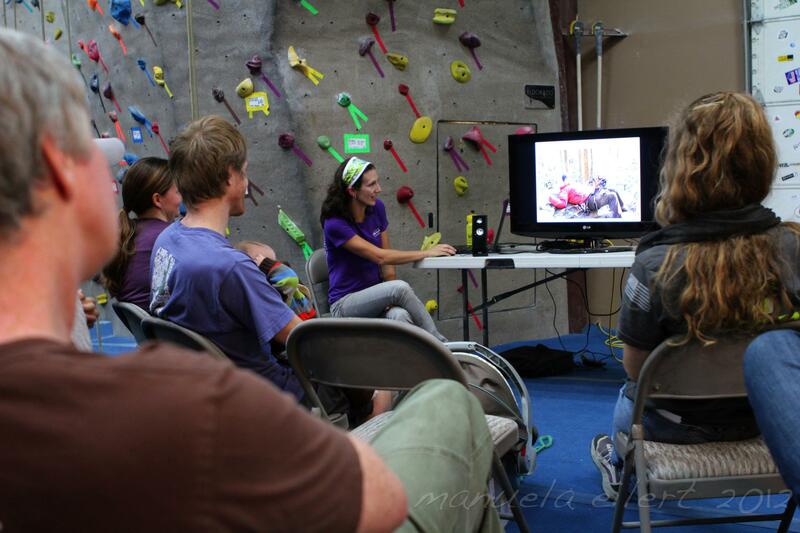 After the demo it was time to switch gears and get ready for my slideshow presentation on “Family Craggin’.” The program was actually the brainchild of Sarah Wolfe, event coordinator for TRC. My presentation was the first of several in a “Sunday Stone Series,” a monthly occurrence that will bring in a wide variety of speakers covering a wide variety of topics. Neither Sarah nor I knew what to expect by way of attendance, and the numbers ended up being pretty small, but I think it was a worthwhile experience all the same. I showed the Cragbaby Video, and addressed the logistics of getting to the crag with kiddos in tow, as well as what a typical crag day looks like for our family. I ended with a few pics from our summer trip to South Dakota/Wyoming. I’m appreciative for both of my sponsors, Trango and Athleta, who each ponied up some good stuff for the swag table – so one good thing about a low turnout is that a large majority of people walked away with a prize! Although it was definitely out of my comfort zone, doing a program like this was a positive experience for me, one that I wouldn’t mind doing again some time. Of course there is a learning curve to it, but it was fun to be able to interact with people in person about topics that I usually cyber-discuss from behind a keyboard. For me personally I think writing comes a lot easier, as I find it easier to be fluid and coherent when I can reorganize my thoughts in my head 100 times before pressing enter. But despite all the nerves and pressure that can be present with public speaking, I think there is potential for a deeper level of discussion when everyone is face to face. That being said, I’m not sure where any of this is going (if anywhere…), but I’m toying with the idea of developing something a little more general and less climbing specific to promote locally. But at the very least however, this was a unique opportunity for me, so I hope the folks who attended were able to take at least a couple of tidbits away from it. A program like that sounds cool, but we probably wouldn’t have time for it. Between work, husband traveling during the week, and baby we just don’t have much (any) weekday free time and on weekends we tend to be doing something. Something that might work better for us would be some kind of activity/program combination. Not sure how this would work exactly, but adding an outdoor activity component would definitely make it more likely that we would be able to participate. Good luck! Definitely a cool idea, we are just very low on free time! Thanks for the feedback Beth. 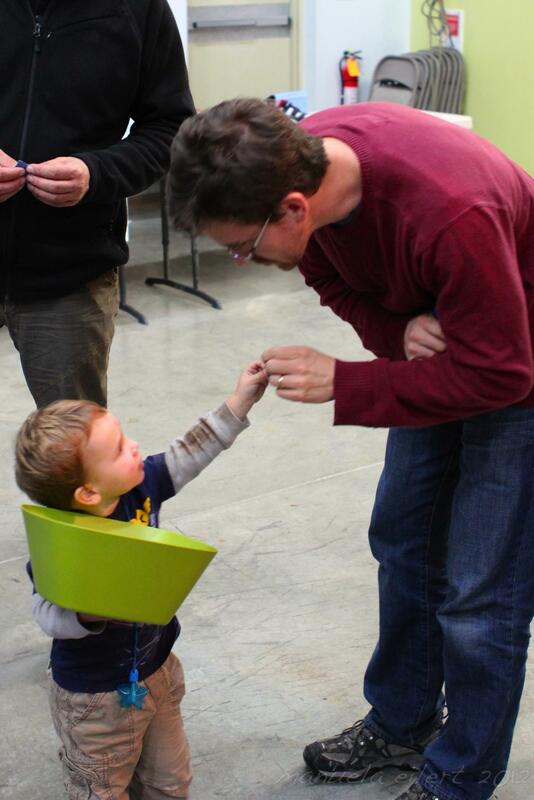 Adding an activity component is a good idea – definitely worth chewing on for a while…. Coming from someone with no kids yet, I think there’s enough info online to satisfy my curiosity about how getting out with children would be. If I had kids, I think I’d probably prefer an organized outing so I could meet other ppl and ask questions as they arose. That’s awesome, I hadn’t seen that video before, well done! I have to agree with the outing ideas. It kills two birds with one stone by getting outdoors and learning at the same time. Thanks for coming out to TRC. You did a great job and certainly didn’t seem nervous. It was helpful for us to relive memories of the infant days. And I appreciate the tip about coordinating nap time with others in your party when bouldering and moving locations. We didn’t do any bouldering trips with our older son until he was napping less. Our first trip with the twins will probably be bouldering so we will keep that in mind.